Roku has announced a new version of their streaming box, the Roku SE and the device will be made available from Black Friday and will cost just $25. The Roku SE comes with Roku OS 7 and it can stream Full HD video in 1080p, it will also comes with access to nearly 3,000 streaming channels and over 300,000 movies and TV shows. With the season of streaming quickly approaching, we’re happy to introduce one of the most affordable Roku players ever, the Roku SE! 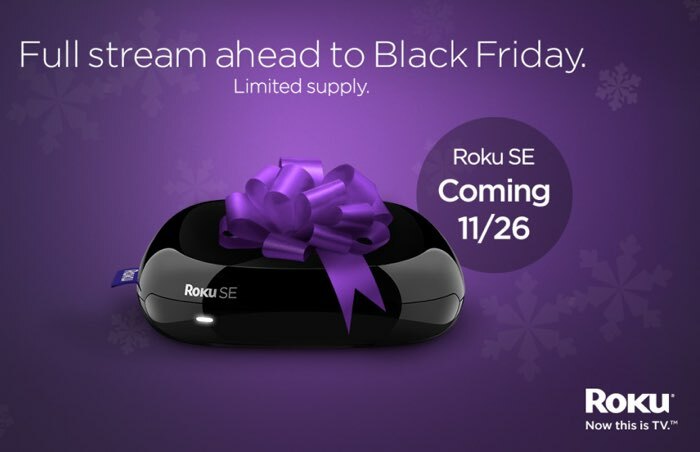 This special edition Roku player will be available in the U.S. for a limited-time only during Black Friday weekend online and at select national retailers starting 11/26. It will be available for just $25. The device will be available in the US from Black Friday online and also in a range of stores in the US, you can find out more information at the link below.